You got a new kitty. Congratulations! The challenge of having the newcomer accepted by the resident feline might be a bit daunting. But take heart! Harmony can be established by following a few simple guidelines. Introducing a new cat to your other cat will take time and patience. Most important is patience on your part. The last thing you want to do is start them off on the wrong paw. As with humans, first impressions really do make a difference. Cats are territorial creatures. Therefore, the fewer cats you have the greater the chance of rivalry. 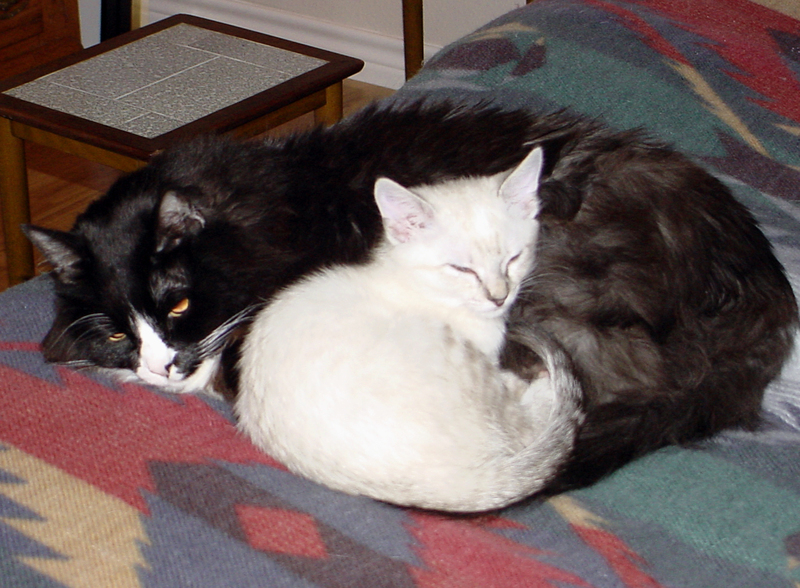 Multiple cat households may be more accepting of the Newbie since they already share their territory with others. 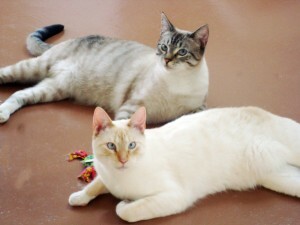 Most spayed/neutered adult cats will accept young kittens more readily than adults. 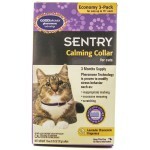 However, even a young kitten can cause stress to an adult cat. So never leave the youngster unsupervised with the resident cat. Keep in mind: As with humans a new relationship needs time to develop. Don’t be tempted to force introductions! 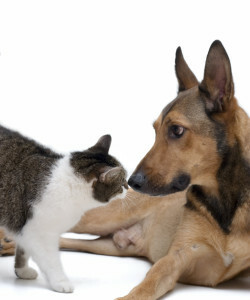 Your resident cat could take an immediate liking to Newbie but it’s best to avoid risks. Start Muffin and Newbie on the right path by helping them forge a positive relationship. This means that you want all their encounters to be associated with a pleasant experience. Pleasant experiences are anything that include food, play, and attention from you. Be patient and calm: Throughout the new cat introduction phase speak calmly. Be certain to praise them both when they are tolerating each other. You can also reinforce praise with treats. During this phase provide Muffin with special attention. You don’t want him getting jealous of Newbie. Newbie can receive cuddles in private. NOTE: DO NOT introduce an intact male to a neutered male: Wait until he is neutered, then allow one week (to let the testosterone levels drop off) before making introductions. 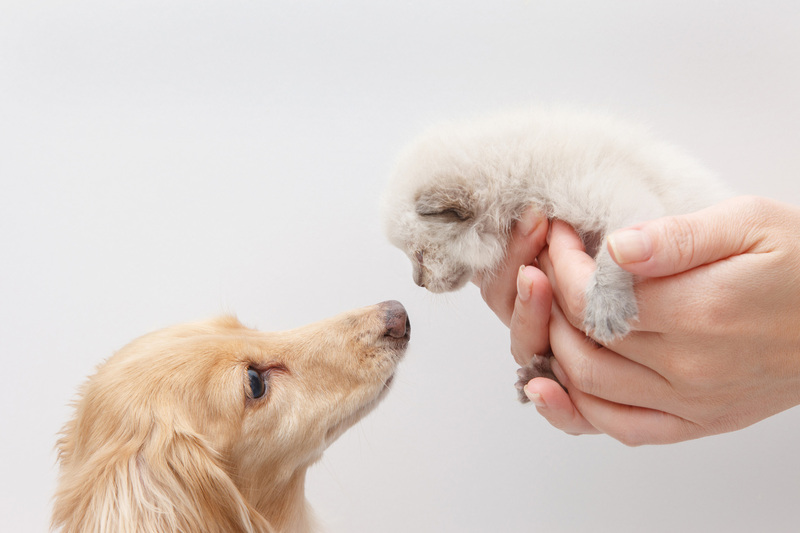 Kittens under the age of 12 weeks will be fine but they will need to be neutered around puberty (between 4 to 6 months) to avoid future conflict. Cats have a keen sense of smell. It is fourteen times greater than a human. They have 200 million scent receptors compared to a human’s 5 million. Their world consists of scents. They are highly aware of which scents are familiar and which ones are not. You might have witnessed this when you’ve brought a resident cat back from the veterinarian’s office. The cat has picked up strange scents at the vet, suddenly your other cats will hiss at their friend because they don’t “recognize” him. Therefore the first step is to “dilute” Newbie’s scent as much as possible. Naturally, there is no way to completely mask the scent of the new cat, but there are ways of making it less threatening. The following steps might appear ridiculous from our human point of view, but cats smell first and see later! First! Purchase cover up or masking pheromone products such as Comfort Zone with Feliway in both the spray and plug in versions. 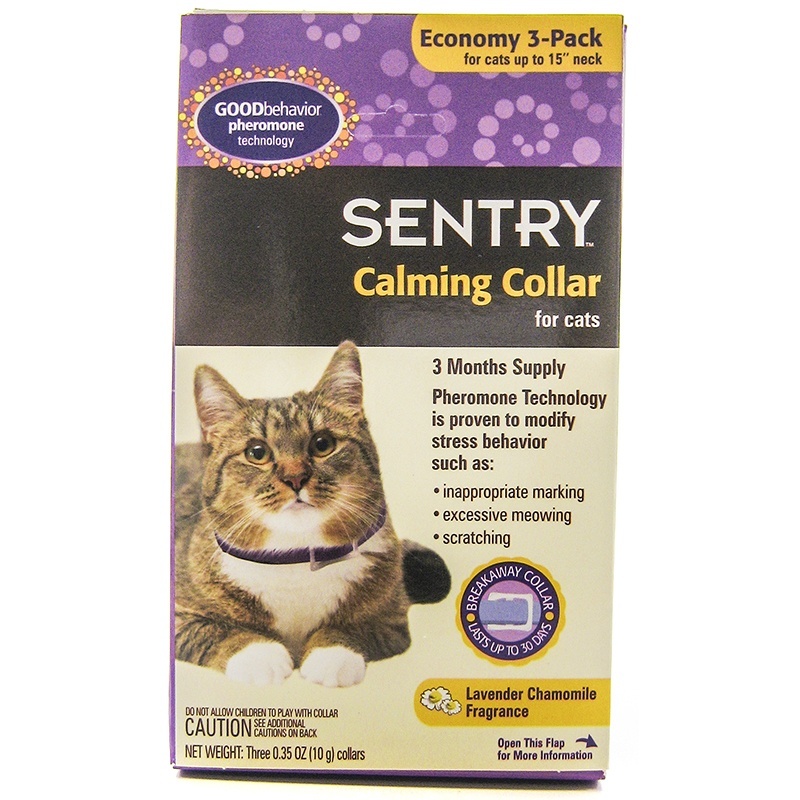 Feliway is a synthetic pheromone that mimics the natural facial pheromones a cat produces. When Muffin rubs his face against you, he is actually leaving a “positive” pheromone marker on your clothing or skin. 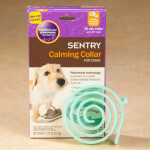 This type of pheromone is known as an “appeasing” pheromone and it can help promote a calmer cat. Plug in the Feliway in the rooms most often occupied by your resident cat. Have one for the room that Newbie will initially be confined to. Squirt a small amount of the spray Feliway into the palm of your hand. Then rub the “marked” palm through Newbie’s coat. Repeat this step with each resident cat as many times a day as possible. Don’t wash your hands until you have applied this small amount of Feliway on each cat in your home. Do not spray the Feliway directly on your cat and use only a small amount in the palm of your hand. Second! Swap scents: Rotate bedding between Newbie and the resident cat. Some experts suggest that each cat be shampooed with the same shampoo. The idea is the new cat will effectively smell similar to the other cats. However, this method only adds stress to an already stressful situation. Yet, the idea is sound since it attempts to mask individual scents. There are other, less stressful ways, to do this. An effective method is to rotate the bedding between the Newbie cat and the resident cat. It’s less stressful than a bath, but it is based on the same principal. Another method is to take a garment that you have slept in and rub this over each cat, repeating the process throughout the day. The rational behind this is to blend their scents with yours. This makes Newbie’s scent less threatening since it is mixed with familiar smells. The cardboard variety will do nicely. Cats have scent glands in their front paws so each time they scratch an item they are “marking” it. Place a scratching post with your resident cat and another one with Newbie. Sprinkle some catnip on the scratching posts to add interest. Then rotate the posts between the kitties daily. They will enjoy their new catnip scented posts while sharing their scents. Step One: Isolate — Give Newbie a room of his own! Before making any introductions place Newbie in a room by himself with a litter box, water, food, a scratching post, and comfortable bedding. Place his food dishes close to the door but not right up against it. You will be feeding your resident cat and the newcomer near the opposite side of the closed door. This gets them accustomed to being near each other, without actually seeing each other. It establishes pleasant associations (eating) with each others scents. Each day you can move their dishes closer to the door until they are eating calmly on their respective side of the closed door. During this phase feed them their favorite food and offer them treats in this area. Step Two: Play — Let the good times roll! Play with them each day in their respective areas (on the opposite side of the closed door). Again, it’s all about establishing positive associations. Play is crucial to cats. They are predatory animals and using their energy in this manner reduces stress. Every cat is different, some like the “cat fisher” toys, others love stuffed mice, balls, crinkly paper, feathers, the laser beam or a long ribbon. Regardless, find the toys that turns your cats on and use it consistently each day. Playing in this manner will help you cement a bond with the Newbie and the resident cat will enjoy his time with you too. In time, you will use this playtime to invite the resident cat and Newbie to enjoy a little positive playtime interaction. Step Three: Explore — Let’s take it to the next level! 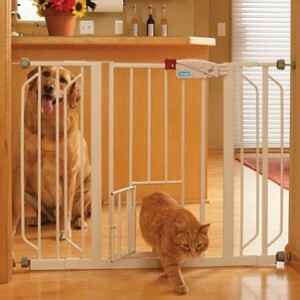 Keep your other cat confined while you let Newbie wander throughout the home. 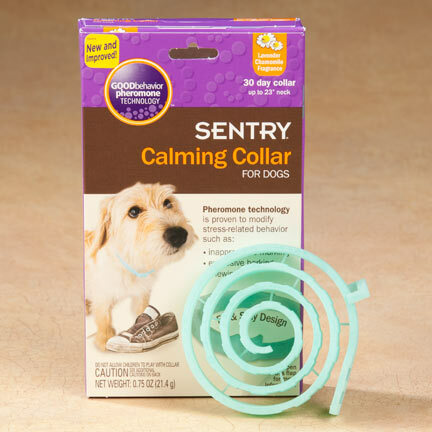 This promotes more scent exchange and it allows Newbie to explore his new territory. He will familiarize himself with the resident cat without a face-to-face meeting. Prop open the door that’s dividing their feeding area and Newbie’s living area. Only prop it a tiny amount, not enough for them to get their head through. Keep the door propped open slightly, gradually opening it a little wider. 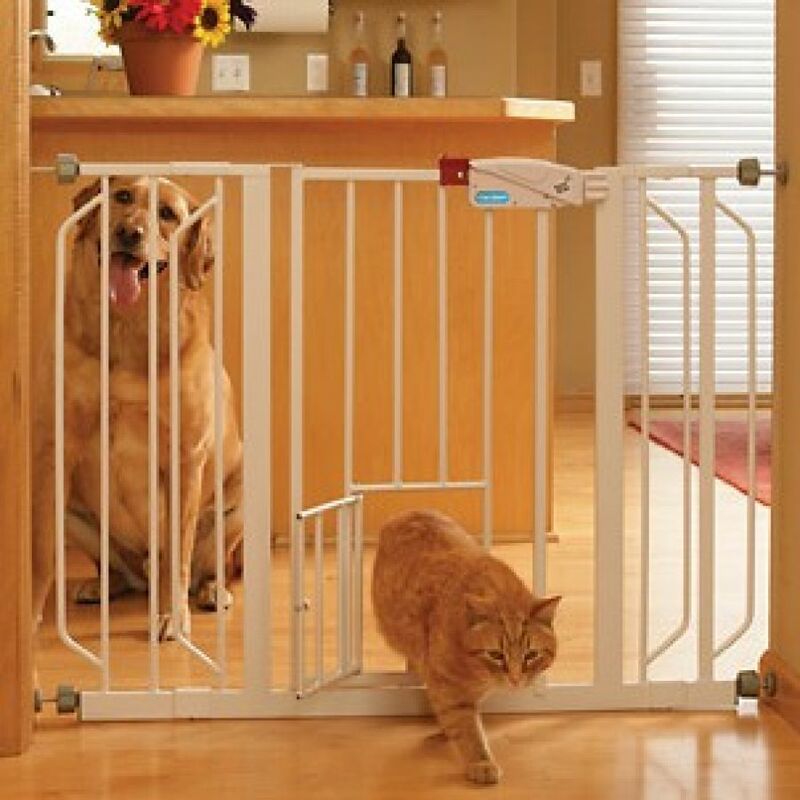 To prevent physical contacts between the cats place a baby gate in the door frame. Prop open the door securely, keeping it slightly ajar. The idea is to let them see each other but not interact. Continue this until the cats are comfortable seeing each other. If at any time they begin displaying negative behavior (such as hissing) close the door slowly so that they will not feel threatened by each others presence. If they are getting along increase their interactions by removing any barrier between them. Increase positive associations between them by inviting them into playtime together. During this crucial phase be more fastidious about cat box cleanliness. Give them each plenty of individual attention. Step Four: Avoid negative behavior! After the barrier is removed, they can interact with each other for feeding and play. During this phase of the new cat introduction be present whenever they are together. If the cats begin showing fear or aggression towards each other, put a stop to it immediately before it escalates. It’s perfectly normal for them to display a little bit of this but you don’t want it to become an all-out fight. That type of behavior will only ruin any chances of them becoming friends. If aggressive behavior erupts gently place a towel or small blanket on one of them, wrapping them in it, and remove them from the room. If this occurs, you will need to begin the introduction process from the beginning. However, it is rare for actual aggression to occur if a slow, gradually introduction has been made. As your Muffin and Newbie continue getting to know each other give them praise, indulge them in playtime (offering catnip as an incentive), and keep their nails trimmed to avoid injury. Avoid litter box problems by keeping the boxes clean (with their preferred type of litter) and wiping up accidents with an enzyme cleaner. Before you know it, they will end up at least tolerating each other but sometimes they end up being best friends!